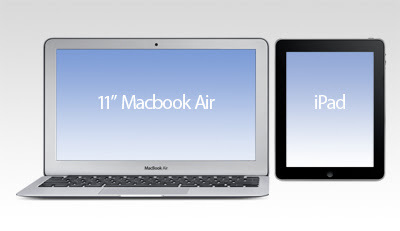 11" MacBook Air or iPad? I got the chance to play with an 11" MacBook Air during a recent visit to Westfield's Apple Store. It is beautiful to look at, very slim, and very, very light (1kg). My iPad, in its Apple case, weighs 875g. The 11" Air is only 50mm longer, and 23mm wider than the iPad. And the Air's screen gives you an extra 262,656 pixels (count 'em) to play. Plus a full-size, 'proper' keyboard. On the negative side, it's not cheap (starting at £849, ramping up to £1250 if you max out the storage and buy an external dvd drive... iPads start at £429). And the battery life is half that of the iPad's (5 vs 10 hours). I can imagine it being an excellent machine for a 'mobile' professional, it is the perfect platform for typing, blogging, emailing and web-browsing. The lack of a SIM slot surprises me, as it means that all mobile browsing will require access to WiFi, or the addition of an (ugly) 3G USB dongle. Anyone who has used a 3G-enabled iPad will tell you how enjoyable it is to be 'nearly-always-online' (3G networks permitting!). For many people it will have too little storage (128GB) to work as a primary computer, and the iPad is still a much better sofa-browsing/bung-in-a-bag machine. However, if it packed 3G capability and 512GB of storage, I can imagine a lot of people using it as a main computer/iPad replacement, with their iPhone (other smart phones are available) joining the bag-free 'key, currency, communicator' kit. 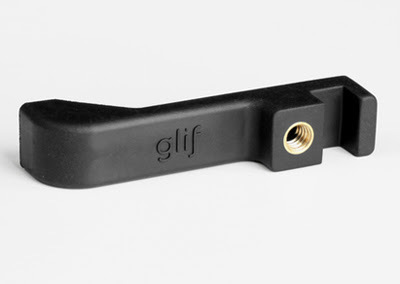 The Glif is a simple iPhone 4 accessory with two primary functions: mounting your iPhone onto a tripod and propping up your iPhone at various angles. The Glif is made from recyclable rubberised plastic, and is small enough to fit snugly in your pocket, purse, or backpack. It has a 1/4" thread that fits any standard tripod or camera mount. The Glif is designed to work with a caseless iPhone 4. Price: $20 - Shipping will begin in 2-3 weeks. Classic Round. It’s classic. It’s round. Classic design; present-day roundness. Versatile. Soft. Warm. Peaceful. For text and display use. Medium and Medium Italic versions available for nowt. 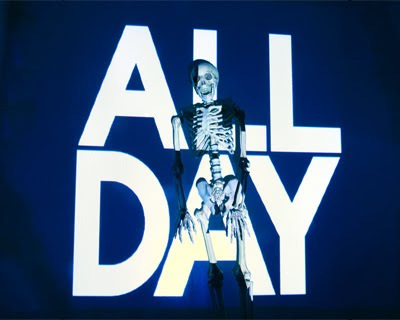 Girl Talk (aka Gregg Michael Gillis) is an American mashup DJ. His latest offering features a clever and intriguing mix of old and new songs. I'm still making up my mind whether it is innovative song-making or just a Parental Advisory Jive Bunny, but I do enjoy trying to distinguish the songs he is using, and the audio quality is excellent. If you only have time to listen to one track, I'd recommend 'Jump On Stage'. 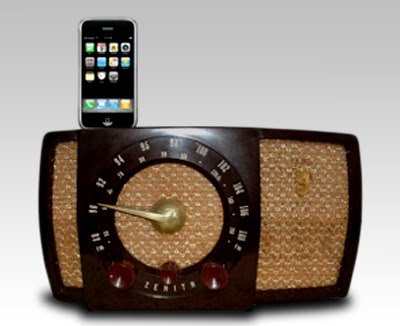 Our goal is to supply our clientele with one of a kind, original-fine-functioning radios ranging from the 1930s all the way to the late 60s. We pride ourselves in selecting only the most desirable and fashionable retro and deco antique tube radios for you to choose from. Each and every one of our radios has been disassembled, cleaned, refinished, rewired with new components, and tested to ensure a long, beautiful, proper-functioning-life. Once restored, the radio is then converted to play your MP3s through your choice of either a top-dock on the radio or a slightly more discrete direct line-in coming from the back of the unit. Forrester surveyed some 4,000 people and found that while just seven percent of those actually read e-books, they still bought enough of them to translate to $966 million in sales this year - a number that's projected to grow to $3 billion by 2015. As for the reading habits of that seven percent, Forrester found that they "read the most books and spend the most money on books," and that they read 41 percent of their books in digital form. That doesn't necessarily mean that they use actual e-readers, though - a full 35 percent apparently do most of their e-book reading on a laptop, followed by 32 percent on a Kindle, 15 percent on an iPhone, 12 percent on a Sony e-reader, and ten percent on a netbook. 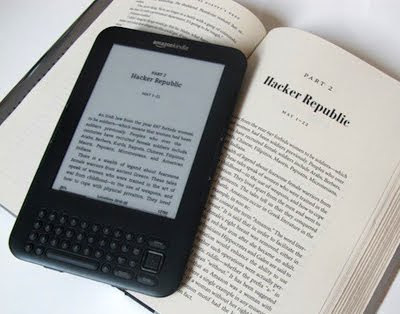 Kindle owners seem to be the biggest boosters of e-books - they do 66 percent of all their reading in digital form. 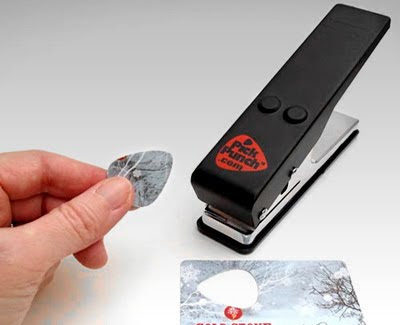 Make your own guitar picks from credit cards, gift cards, plastic lids... and many other materials. 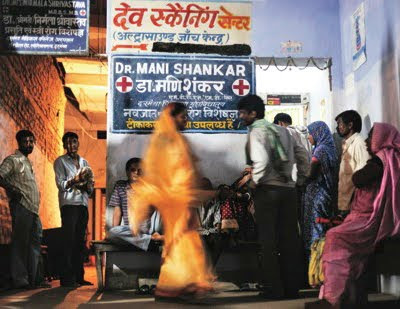 The New Yorker has published an excellently written, extremely disburbing article on the state of tuberculosis diagnosis and treatment in India. One to bookmark/Instapaper for when you've got 15 minutes to spare. 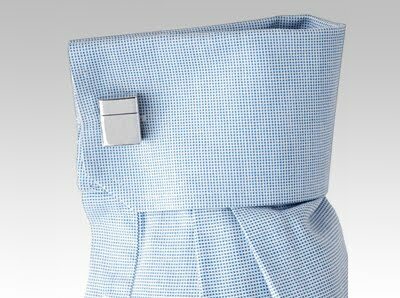 Introducing the perfect pair of cufflinks for work. 4GB USB Flash Drive Cufflinks (2 GB each, total 4 GB) are not only engravable, but feature functional USB drives making it possible for you to keep all of your must-have presentations and important documents with you wherever you go. Never be without functional fashion again. 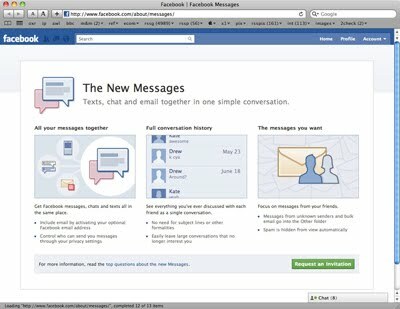 - Get Facebook messages, chats and texts all in the same place. - See everything you've ever discussed with each friend as a single conversation. - Focus on messages from your friends. Brett's 2p'orth: The majority of internet-equipped humans below the age of 20 already use facebook as their primary means of electronic communication. Will be interesting to see whether this new offering from Mr Zuckerberg is adopted or ignored by the fb fraternity. TinyURL and other like services solved a problem brought on by the advent of micro-blogging - limited message length. They do this by taking (sometimes incredibly long) URLs and creating a small compact one that redirects to the original. Solving one problem, though, created another one: obfuscation. There's no way to tell (for sure) where a shortened link goes by just looking at it. So, then, I could send you this link http://is.gd/2kz and tell you to check out the photos from my recent trip, when in fact I'm sending you to a video of Rick Astley singing 'Never Gonna Give You Up'. This is bad for users. To help with the situation many URL shortening services provide some sort of "preview" feature that lets you see where a link will take you before actually going there. But, yet again, this creates another problem. With so many URL shortening services, each with their own way of previewing URLs, it would be troublesome for developers to try and support a preview feature for all the services. 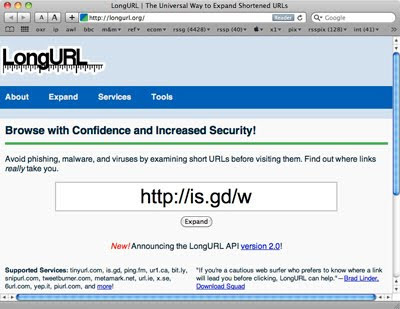 This is where LongURL comes in: it provides a standard API for multiple URL shortening services. Totes are marketing a smartphone-friendly range of gloves. Priced at £15 a pair, they'd make a good Christmas gift for your iPhone addicted friends, and are a lot less messy than using a sausage. 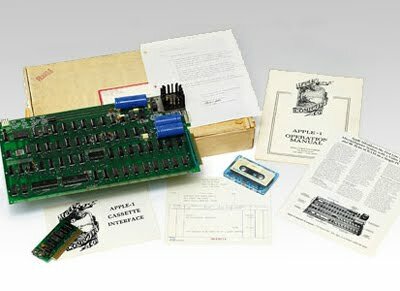 The first Apple computer that company founder Steve Jobs sold from his parents' garage is for sale - with a price tag of £150,000. There were about 200 examples of the original "Apple-1" launched in 1976 and only a few survive. They came with a tiny 8k memory, and cost $666. This example will be auctioned off by Christie's of London. It comes with packaging, manuals and a letter from Steve Jobs. He appears to be answering questions about what monitors and keyboards are best to use. 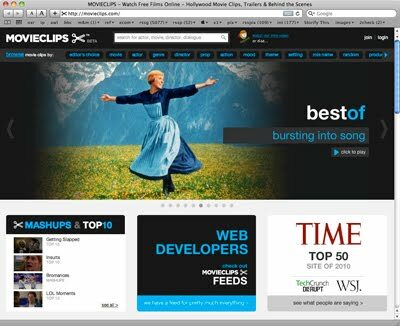 For a year, the team at MOVIECLIPS has worked tirelessly to collect clips and make them completely searchable by actor, title, genre, occasion, action, mood, character, theme, setting, prop, and even dialogue. This makes it simple to find a scene fast. We are hopeful that you'll use this powerful search to discover new movies. For that reason, we've included links with each clip to easily buy or rent the feature-length movie. 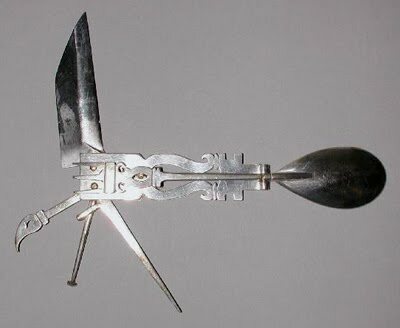 The Fitzwilliam Museum has a number of 'compound utensils' dating back to AD 200. Days is a contemporary-looking, sans-serif headline face with a reasonably full character set (no £ sign). Designed by Aleksey Maslov, Ivan Gladkikh, Alexandr Kalachëv, it is available for download via this link. (Tip: to avoid downloading a massive ascii text file, right-click on the link, 'save to downloads', then delete the '.html' from the file's name). 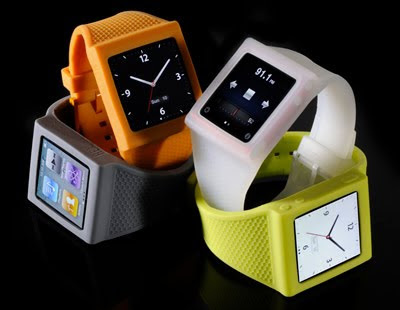 These new funky-color silicone bands from Hex make Apple's diminutive iPod look like a not-entirely-ridiculous timepiece. The $24.95 Hex band has a pop-in design which incorporates the Nano into the watch. It has integrated control buttons and comes in 9 colours. 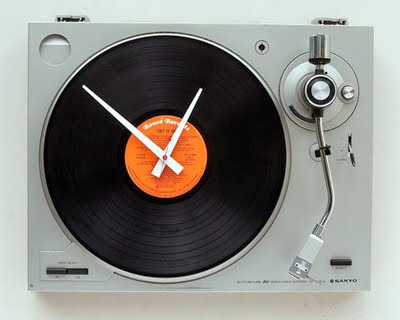 This clock was created using a recycled Sanyo turntable and a Ronco's Greatest Hits album titled "Get It On" which is replaceable. The clock movement is quartz, and requires 1 C battery (included). The entire clock measures roughly 17" x 14" and hangs on the wall like a picture frame with 2 hooks. 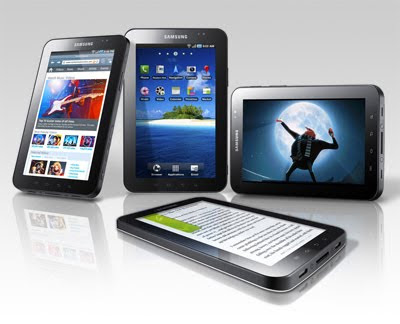 Engadget has published a hands-on review of Samsung's Android tablet. "The Tab is the first true competitor to Apple's iPad. Its crisp display, compact form factor, touch-friendly software and dual cameras undoubtedly have what it takes to win over the average tablet seeker." "However, we still have some reservations right now. Google hasn't yet provided any direction on Android as a tablet platform, which means that the Tab is held back by lagging application support and software that doesn't fully take advantage of the extra screen real estate." "Remember, that when the iPad launched many developers were already working on tablet specific apps and Apple had an iPad app store in place. Without that ecosystem and support from Google, Samsung is left to its own devices." "Samsung says it's working with Google and plans to use future iterations of Android, so we'll have to see what happens - but for now it looks like the saga of the Samsung Galaxy Tab still has several chapters to go." 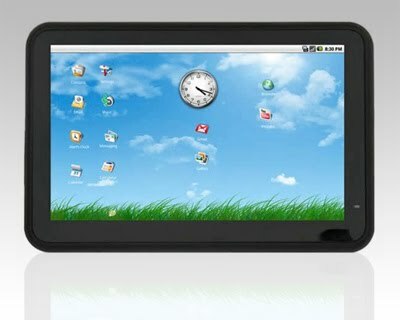 ASDAdirect is selling an Android-based tablet for under £100. I couldn't see a screen resolution, but it is probably 800 x 480, like the one offered by Morgan for £85.00, running Android 1.6 (not upgradeable). And the image ASDA have used on their web ad is an Apple iPad. I've used the image from the Morgan website. 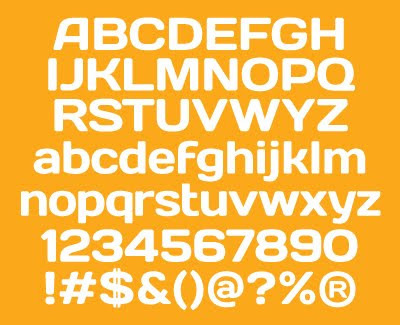 This clean, well-balanced typeface is an excellent answer to the, 'I know I shouldn't use Comic Sans, but what else is available?' question. Available in three weights from Font Squirrel. 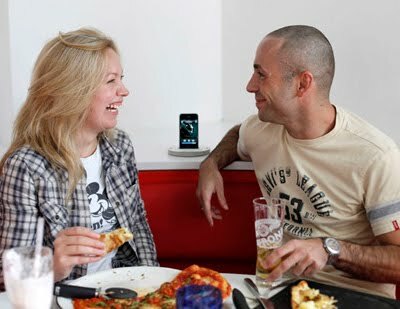 The Pizza Express restaurant chain has added iPod docks to seating areas as part of the company's strive to create the 'new generation' of pizzerias. Starting with its restaurant in Richmond, Pizza Express calls this new concept of dining its 'Living Lab', inviting public feedback on the new style, before rolling out the features and designs to all of its sites in the UK. Research has shown that 84 per cent of customers have had an evening out ruined by excessive background noise, while 70 per cent say that they regularly struggle to hear their fellow diners. So, the chain has created a dining environment, with the help of award-winning designer Ab Rogers, to create parabolic booths - domes that hang from the ceiling and deflect background noise and absorb 50 per cent of reverberative sounds. 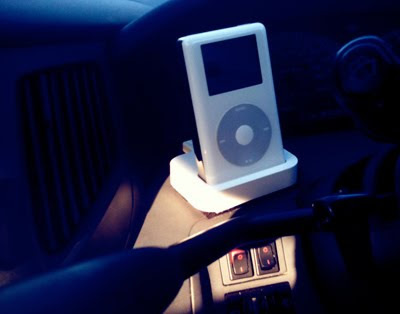 In addition, the company has fitted personal iPod docks in its seating areas, which also feature technology to reduce disruptive noise. They include a 'light on' to attract the attention of the waiting staff. If successful, Pizza Express will bring the technologies to its other restaurants throughout 2011.